I’ve often wondered if the bronze tinge in my eyebrows is the result of the hours spent as a kid in the dark room staring over the top of the intoxicating developing tray, watching wide eyed as my dad & brothers developed prints under the red safe light. For them it remained a passion, for me it became my profession. I continued to hone my craft under the guidance of top commercial photographers as an assistant in South Africa & Paris for close on 5 years, before venturing freelance into fashion & people. I’ve been fortunate to shoot on every continent and ocean, with my pictures finding their way into & onto magazines & billboards across the globe. I now specialise in cars as well as action and adventure photography and I currently work on global events such as Formula 1, Dakar, Le mans as well as the Volvo Ocean Race a few times. But as a native of the windy city down on the southern tip of Africa I’ve become accustomed to weird and wonderful boats stopping by before continuing their adventures further south or around the world. 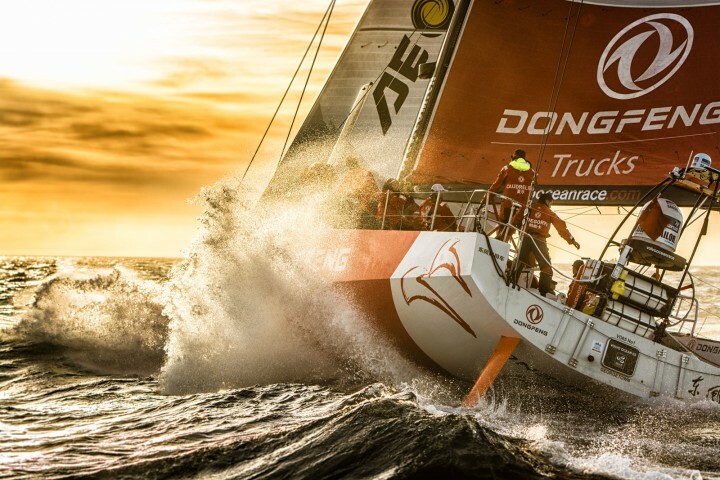 This passion for boat spotting drew me into adding them to my photography repertoire and through some extreme good fortune I managed to break through the conventional approaches into international sailing photography and landed myself a staff media position on the Volvo Ocean Race in 2011. In 2014 I re-joined the race for a second time and travelled the globe yet again photographing the then new Volvo Ocean 65s.